Frank J. Raso is known throughout Rockland, Westchester and Orange Counties as the lawyer to call if you get a DWI. Even other lawyers call Frank Raso for help with DWI cases--for one simple reason. They know that Frank Raso knows DWI defense cold. MoreFrank J. Raso is known throughout Rockland, Westchester and Orange Counties as the lawyer to call if you get a DWI. Even other lawyers call Frank Raso for help with DWI cases--for one simple reason. They know that Frank Raso knows DWI defense cold. Mr. Raso has devoted his practice to DWI defense for 30 years. With the vast majority of his DWI cases resolved either through a plea to a lesser charge or a dismissal, he has built an impressive track record. A top litigator, he has successfully tried cases in village, town and city courts, as well as county courts throughout the lower Hudson Valley. In addition to DWI defense, Frank Raso is experienced in handling vehicular crimes, driving while suspended, vehicular assault, driving without insurance, speeding, aggravated unlicensed operation, as well as drug crimes. More innocent people are arrested for DWI than any other crime. If you or someone you care about has been charged with DWI, call Frank Raso with confidence. First, Frank will question you about the facts and circumstances surrounding your arrest. Then he will take you step by step through the process--everything you need to know about the law, your rights, the issues, your options. If you do have a drinking problem, Frank will help you get the help you need. Once you decide whether a negotiated settlement or a trial makes the most sense in your case, Mr. Raso will help you present yourself in the best light possible in order to get the best result possible. If you determine that your case must go to trial, you have a lawyer who is experienced in trying DWI cases -- and winning. 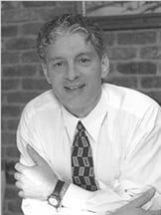 Active in his community on behalf of many good causes, Frank J. Raso is also a member of the New York State Bar Association, Criminal Law Section; the New York State Association of Criminal Defense Lawyers; the Rockland County Bar Association; and the Columbian Lawyers Association of Rockland and Orange Counties.